Welcome to Woodland Wonders. 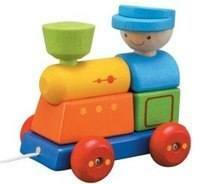 We have a range of quality wood based products, that will amuse and entertain young and old. We have had a lot of fun sourcing these products and hope that you can share our pleasure and be inspired to buy something for your home or for a friend or relative. We have toys from Plan Toys and goki, funny phrases and poems by Splosh and Heart Warmers. Woodland Wonders promotes woodland management through the use of timber based gifts and homewares. Woodland biodiversity benefits from trees being felled under a management regime - the felled trees are a renewable, sustainable resource that have a vast range of uses. The items in the shop have been produced from managed forests.